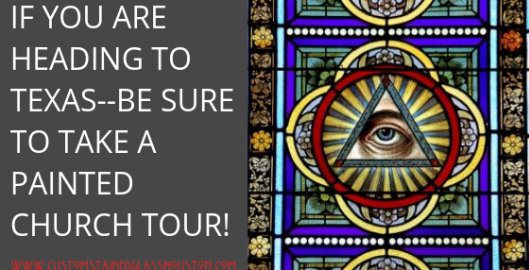 Do you have stained glass on your Houston church, temple, cathedral or mosque that is old–as in over 80 years old? 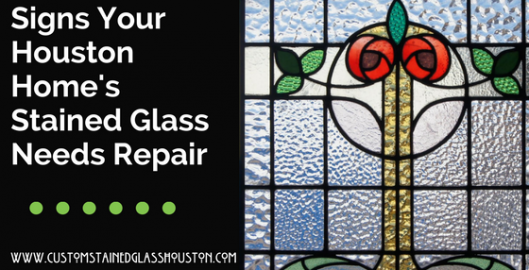 Well, if you haven’t already noticed signs of aging like cracking, missing glass or sagging frames, we are here to let you -it is probably time to have it inspected by a stained glass restoration specialist, like Custom Stained Glass Houston. This is because the odds are it needs restoration sometime in the near future. How do we know this? Because church and chapel stained glass created in the early part of the 20th century lasts about 80-100 years before needing restoration. So, if you have church stained glass about this age or even older, it is time to have a conversation with the church body about whether or not stained glass restoration is something you want to do. Below we have listed 3 reasons why stained glass restoration is a good idea and well worth the time and effort. Century-old stained glass was created in an amazing time in Houston’s past. A time here in Texas, and across the country, that saw many historically significant events and changes. A time when things were created with care and by hand–not just mass manufactured. As such, glass created in this era has deep historical significance and a handcrafted beauty that is hard to come by these days. Allowing your church stained glass to fall into disrepair or be removed all together robs not just your church but, Houston and future generations access to this lovely historical mementos. Easily one of the main reasons churches here in Houston turn to us to restore their aging stained glass windows is that they are cherished by the congregation. The reason for this is simple– when these lovely relics of the past were installed, the church members of old, many of which are gone now, worked hard to raise the funds to have them installed and likely made sacrifices of time and money. The sentiment they felt for the windows is often passed down and still present in the current congregation. An adoration and sentimental value still deeply instilled in your church’s body today. In these cases, it is well worth the time and expense of having your Houston church’s stained glass windows restored today as a way to carry the torch and preserves something that means so much to your members. Not all antique stained glass windows are worth a lot in terms of actual money. It depends on who made or which studio made them and other factors The condition of the stained glass, the authenticity of former repairs and materials used in creating the windows all influence the current value if any. 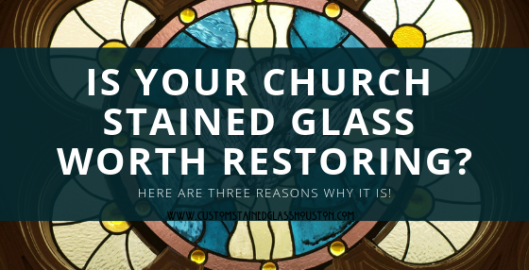 However, getting an assessment will help you understand these factors that may mean your church stained glass is worth a fair amount of money and, obviously, if they are of value monetarily, then restoration is a must to keep that value intact. For more information and to take the first steps of getting your Houston church’s stained glass restored, contact us at Custom Stained Glass Houston today! If you live in or are visiting Houston, Texas, one experience you must have is to visit one or a few of the legendary “Painted Churches” of the state. Painted churches are historic old churches painted by German and Czech immigrants, painted in bright colors and bold patterns to celebrate their success and keep their spirits high. Better than visiting just one church is booking a tour with the Schulenburg Chamber of Commerce, who have a wealth of knowledge about the area’s painted churches and will surely take you to some of the most spectacular Texas has to offer. They are also very highly rated on Trip Advisor and other review sites, which means you know your $10 fee is worth the spend. As stained glass professionals here in Texas, we at Custom Stained Glass Houston, appreciate the preservation of historic treasures such as these! In fact, we love it so much we outlined a few of the remarkable churches below as they relate to stained glass treasures. This lovely church is Nicknamed the Pink Church and was built in 1917. Technically it is the third church built on this site because the previous two were destroyed by natural disaster. The current stained glass windows are simple but stunning since much of the Gothic Revival-style architecture has been replaced in the re-builds. The Saints Cyril and Methodius Church were designed by is famed architect Leo Dielmann after the first church was destroyed in a hurricane in 1909. to design the second church. Dielman’s designs 100 churches in Central Texas and it is easy to see why– the stunning stained glass in Saints Cyril and Methodius is matched by the most beautiful interior paintings, stenciling, and statues. Unlike several other churches in the area, St. Mary Catholic Church in High Hill has a brick exterior with a wooden interior. This is so because church leadership encouraged communities to build churches out of brick or stone after many were destroyed by storms and fires. St. Mary was the first church in the area designed by famed church architect Leo Dielmann. His Gothic Revival style is evident by the decorative painting used to create a “Gothic Style” on the churches ceilings and the stained glass is very characteristic of the breathtaking style as well! Here at Custom Stained Glass Houston, we have worked on any number of churches similar to the amazing chapels above as restoration experts. We cherish the long Texas church and stained glass history and would love to work with your church if the need is there. For more information on stained glass repair or restoration in all of Texas, contact us today! When it comes to stained glass windows the majority of people have no idea what theirs may or may not be worth. That is completely understandable because values are obscure and tend to fluctuate with time and evolving styles. However, not so much that an approximate value cannot be put on them. Now that the Houston area is going through a renovation boom finding out the value of your stained glass and whether to keep or replace it, is of the utmost importance. Not all stained glass will be a windfall of cash– in fact, most won’t. But a lot of the stained glass is the American west has deep historical significance on top its monetary value. And every once in a while there is the case of a vintage homeowner stumbling upon a surprisingly lucrative piece of stained glass they didn’t realize was so rich in history and value. 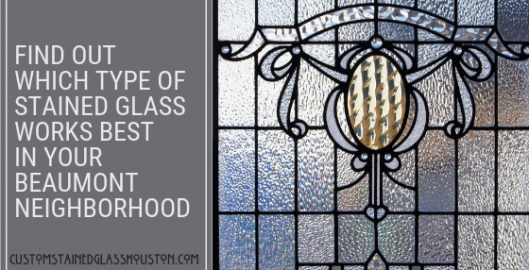 While most historic stained glass will be not be something you can retire off of–finding out the value of your Houston home’s glass is critical. Below are a few things a stained glass expert, like Custom Stained Glass Houston, will consider when pricing your beloved stained glass window. Context Of The Building or Home: The history of the building is a big part of what makes stained glass valuable (or not) and provides many, many clues about the history and maker of the stained glass. Inscriptions and Signatures. An easy and telltale hint at the value of a stained glass window, inscriptions let you know precisely who made the glass or from which studio it came out of. A lot of studios and artists, like Tiffany, put signature plates on the lower right-hand corner or their pieces. 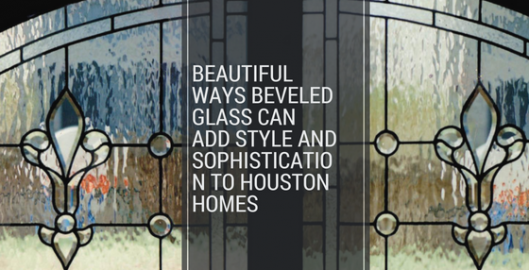 Composition and Style Elements: The style of your Houston window is a very great way to discern when it was made and even who made it. Styles like Arts & Crafts, Art Nouveau, Prairie School are all very unique and distinctive style and valuable too. If your vintage stained glass is in these types styles, it is easier to pinpoint the time, area or artist it came from. The Make-up Of The Glass: Of course, the glass is a huge clue in and of itself. There were many varieties of glassmaking methods and innovations, each dating to a different time and style in American history. So, something like opalescent glass, for example, was invented in 1880 and widely used, in two variations by Tiffany himself. 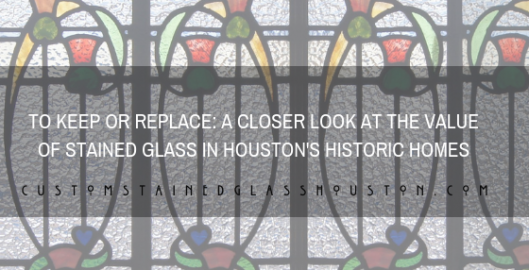 Before removing or changing anything on your historic Houston home’s stained glass, be sure to make every effort to find out and record its history and composition. Also, get it documented for future generation. For help finding out the value of your Houston home’s stained glass contact us at Custom Stained Glass Houston today! There are many beautiful examples of stained glass throughout Southern churches. These unique stained glass collections can be found throughout different houses of worship throughout all the Southern states. For stained glass enthusiasts, exploring these gorgeous stained glass pieces that can range from newer, contemporary stained glass to historic stained glass pieces built in the 1800s. 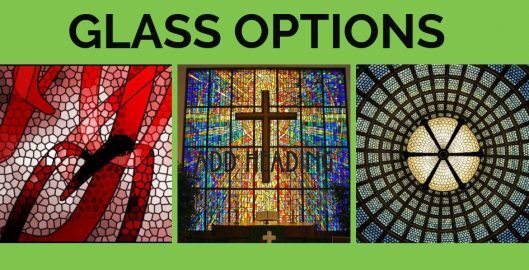 These differing stained glass collections offer inspiration for Houston churches looking to create their own custom stained glass pieces. Stained glass a home improvement that most homeowner would love to make but put off or hesitate on because they simply don’t know what kind of stained glass to get. Rather than deal with what style stained glass will go with their home or if they should use colors and which ones, they stay with the status quo. Call it a lack of knowledge or just a dire need for inspiration but people often aren’t aware of how many varieties of stained glass designs available to them through prolific stained glass companies, like Custom Stained Glass Houston and how easily it is installed. Here in our studios, we have an abundance of colors, textures, and designs styles to suit every single home here in Beaumont, TX and expert installers to get the job done in as little as one day. So, if stained glass is something you just love and have been considering for a long time but putting off, we have provided some stained glass ideas for we think would go well in your home based on neighborhoods like yours in Beaumont, TX. Modern Stained Glass: The Walden neighborhood of Beaumont is full of young professionals working hard to get a leg up and have a good life. This also means houses hear are being modernized at a fast clip, making stained glass that looks new and trendy a must here! Abstract stained glass goes wonderfully with the emerging Walden neighborhood aesthetic but even something more classic like mid-century modern Frank Llyod Wright-inspired stained glass with clean lines will fit in perfectly! Vintage Stained Glass: The Oaks Historic of Beaumont is a very old, very beautiful place to live. It is historic for the obvious reason of having many old homes dating back to the founding of the city itself. However, with all the renovations of late, it has turned into a marvelous modern neighborhood with lovely antique accents. This is why Vintage stained glass is a solid fit for homeowners in The Oaks. Stained glass in the style of Greene And Greene and MacIntosh will not only be a lovely accent for homes here but will complement the entire neighborhood too! Textured Stained Glass: The Calder Highlands neighborhood of Beaumont is gorgeous with its classic French architecture and since this part of Beaumont is absolutely bustling with activity—privacy can be hard to come by here. For these reasons, stained glass that is textured is wonderful for the Calder Highlands neighborhood where you likely want a bit of privacy on sidelight and bathroom windows but still want to enjoy the natural light and ambiance of such a lively place to call home. As we said, there is truly an abundance of stained glass styles for any home in the Beaumont, TX area and finding one that fits you is only a click away! Contact us at Custom Stained Glass Houston to find out more about stained glass styles that fit your home today! 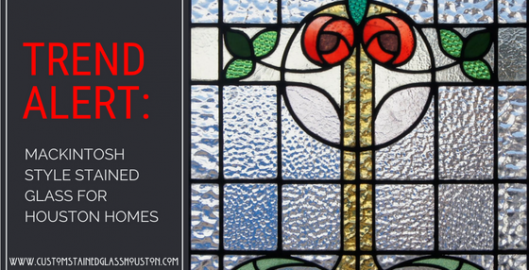 Thinking about adding stained glass to your Beaumont Church? Or maybe restoring the existing stained glass? But have no idea where to start? Well, that makes sense since almost no “regular Joe” knows much about the ancient art of stained glass. Likewise, you probably don’t know (but want to) what types of stained glass options are available for you. No need to worry, we here at Custom Stained Glass Houston, can help you sort things out because–it is our business to know all about this lovely and lasting. And frankly, it is something we just love to talk about. 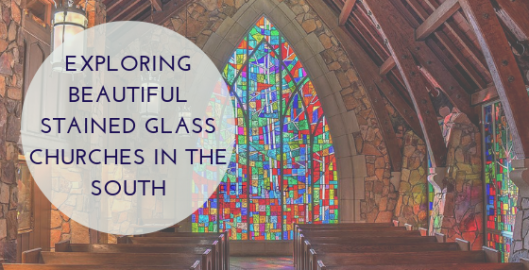 Read below for some popular and pleasing ideas for stained glass to grace your Beaumont church and enchant parishioners of your Beaumont church for decades to come. Opalescent glass is a piece of glass with mixed colors in it. Typically there are two to five that are used in the process. This gives glass depth and many gorgeous color combinations. Plus no two pieces are alike! This type of glass treatment contains a white opaqueness so that the glass is not see through it and it perfect for areas where you want diffused light–like entryways. This type of stained glass is transparent and usually is only one color. It has incredible clarity and is wonderful for creating a high-end, striking stained glass look. As the name implies this type of glass is often used in cathedral windows but is wonderful for pictorial scenes, symbols, and memorial plates too! Hand-stained glass, like the name states, is stained/painted by hand. It is typically reddish-brown or black and great for creating life-like scenes. This is because after an artist applies a layer of stain to a piece, they finish by carefully tapping or brushing in highlights–giving the piece amazing depth. This glass is perfect for pictorial scenes depicting natural symbols or human faces because of the amazing detail and shading. Different from leaded glass, faceted glass has its own very unique look. This reason for this is because– it is a thick glass that is faceted or chipped on the surface. This type of faceting makes for amazing light play off the glass. Faceted glass is held together with epoxy which allows the spaces between the glass adding even more to its depth and glow. All of these types of glass treatments are ones we use at Custom Stained Glass Houston, not only to create new church windows but in restoring windows to their former glory. Reach out to us today for information and pricing on stained glass creation, installation or restoration on your Beaumont church. What Makes Charles Rennie Mackintosh Stained Glass Right For Your Houston Home? 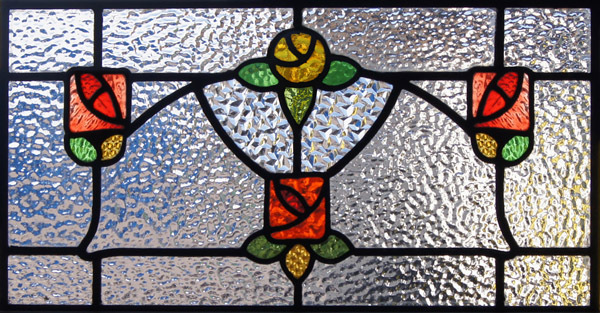 As the distinct look of Mackintosh stained glass begins making a reemergence in the 21st century, we, at Custom Stained Glass Houston are getting more and more questions about this trendsetting Scottish artisan and his work. While many people have heard the name Charles Rennie Mackintosh, not many people are aware of the depth and breadth of his work that made his works the hallmark of an entire generation. Because of this, when people ask us if Mackintosh style stained glass is right for their home, our answer is almost always a resounding yes. Since Mackintosh has so much work to pull from, it is almost impossible not to find something inspiring for any home. To better understand Mackintosh’s style, read below for more information on him and his truly inspired body of work. As mentioned Charles Rennie Mackintosh was a prolific designer. Part of the allure of his work was the supreme minimalism that characterizes it. Stained glass windows inspired by his work often include clean lines, bold pops of color surrounded by clear geometric panes and natural motifs. However, probably his most popular theme is his timeless Mackintosh rose. A beautiful and elegant rose design that manages to avoid being overly flowery–see below. As you can see there is a universally appealing quality of Mackintosh stained glass which is somehow as relevant today as it was over 100 years ago. Having this style of stained glass in your home will make it beautiful and even modern but still, give the viewer a sense of nostalgia. At Custom Stained Glass Houston we specialize in vintage styles of stained glass like Mackintosh and know to bring his style of work to life in your home. When looking for custom stained glass in this or any style, contact us for more information and to schedule a design consultation. Houston homeowners are always looking for ways to add style and sophistication to their homes– whether they have traditional style or contemporary style decorated properties. Finding affordable projects that improve curb appeal and property value can definitely be tough. Beveled glass is a wonderful, unique feature that can really elevate your space at an attractive price point. This beautiful yet functional upgrade can really be the change you’re looking for. Custom Stained Glass Houston strives to creates the most innovative, high quality custom stained glass for our Houston clientele. We love recreating stained glass pieces, paying homage to artists and different art movements, and delivering harmonious, well-balanced pieces. With so many different styles, colors, and textures that can be reflected in stained glass, homeowners and business owners have free creative direction in customizing the stained glass feature of their dreams. 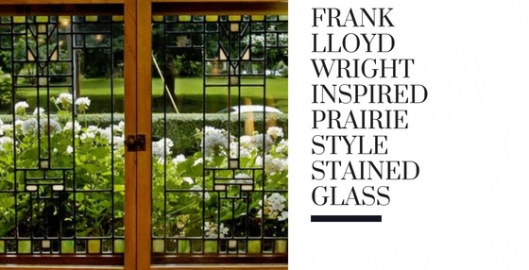 One of the styles of stained glass that remains popular among Houston residents is the Prairie style stained glass inspired from Frank Lloyd Wright. Did you know that much of the nation’s stained glass and leaded glass is nearing or already at the 100th-anniversary mark? However, a lot of the stained glass here in Houston and around the US has not been cleaned or repaired since the day it was installed. For the best, brightest and most beautiful stained glass in your Houston home, it is important to have proper care. But how do you know when it is time to have your stained glass cleaned or repaired? 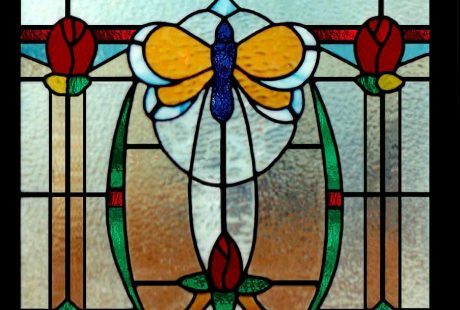 Below are some things to look for in your house’s stained glass windows to give you clues to its condition and whether or not it needs repair.